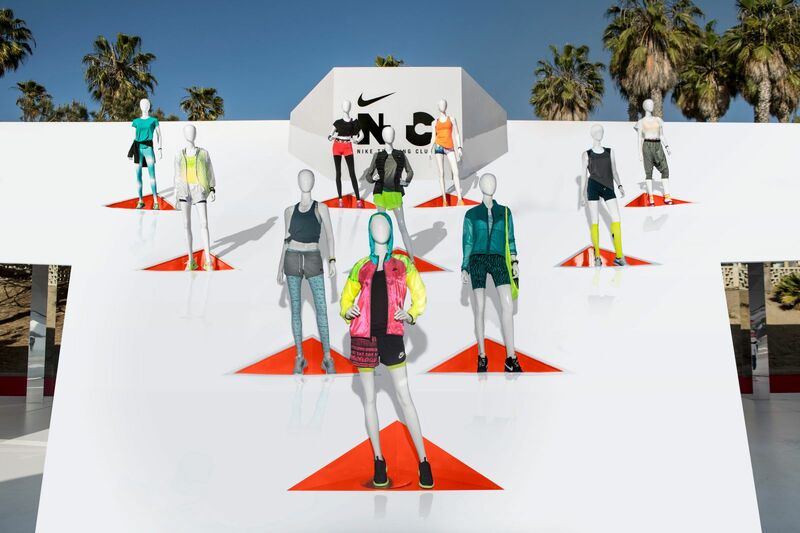 The Nike Training Club (NTC) is a fitness community for women. 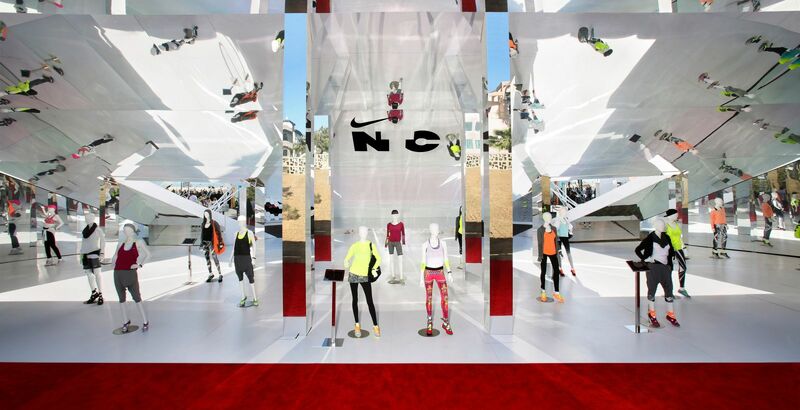 In 2014, they planned an NTC Week that culminated in three one-day events around the world. 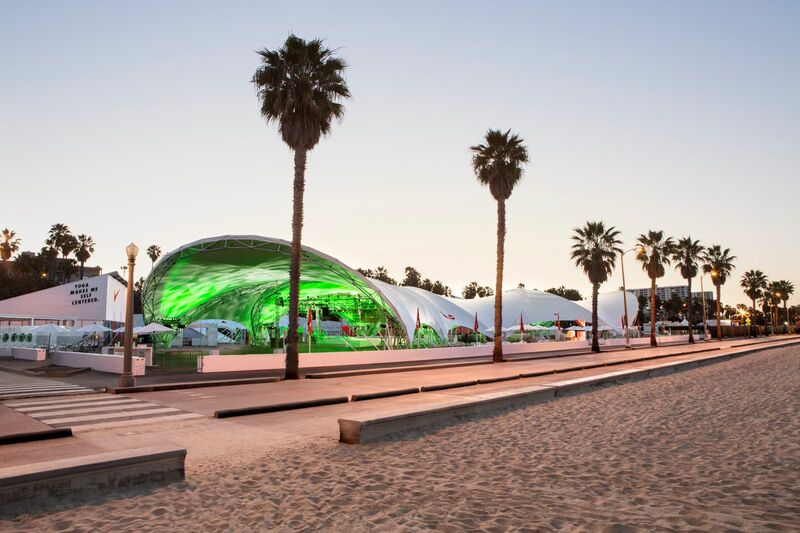 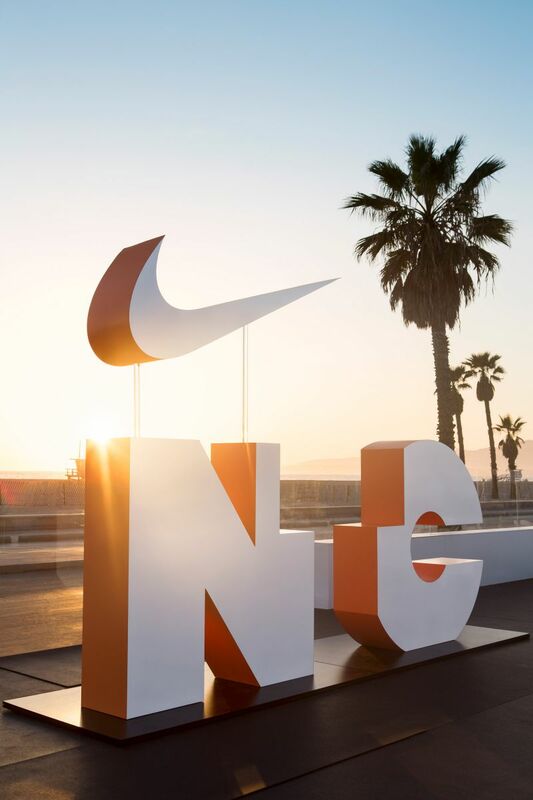 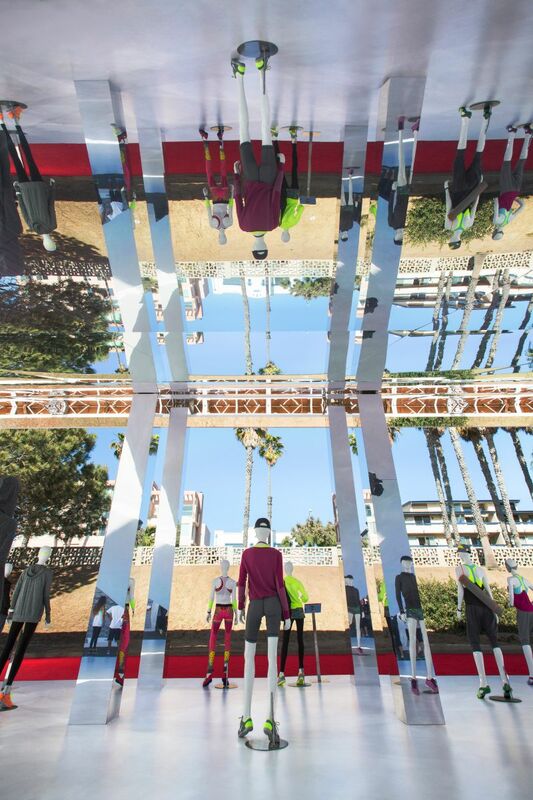 The Los Angeles NTC Tour event took place in Santa Monica with goal of providing the ultimate training and lifestyle experience for thousands of participants. 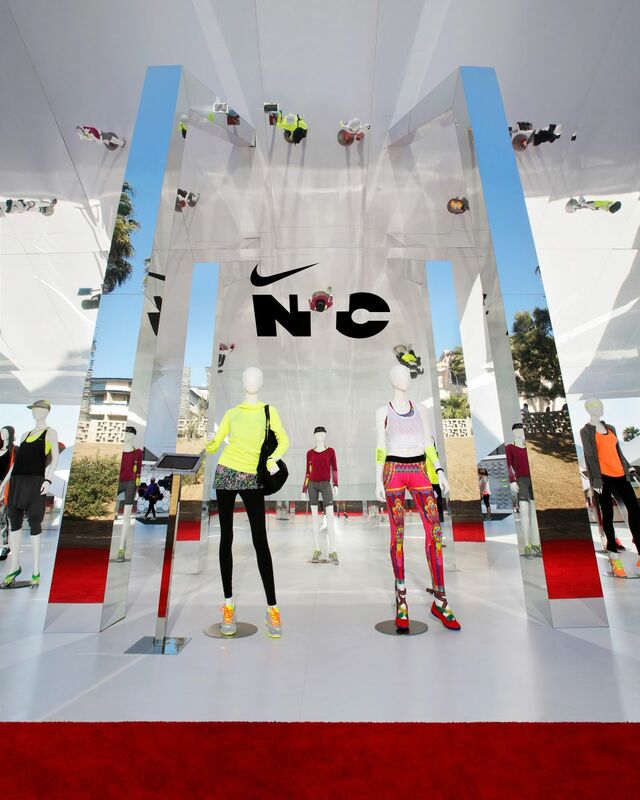 Event programming consisted of workout sessions, product showcases, and nutrition consultations. 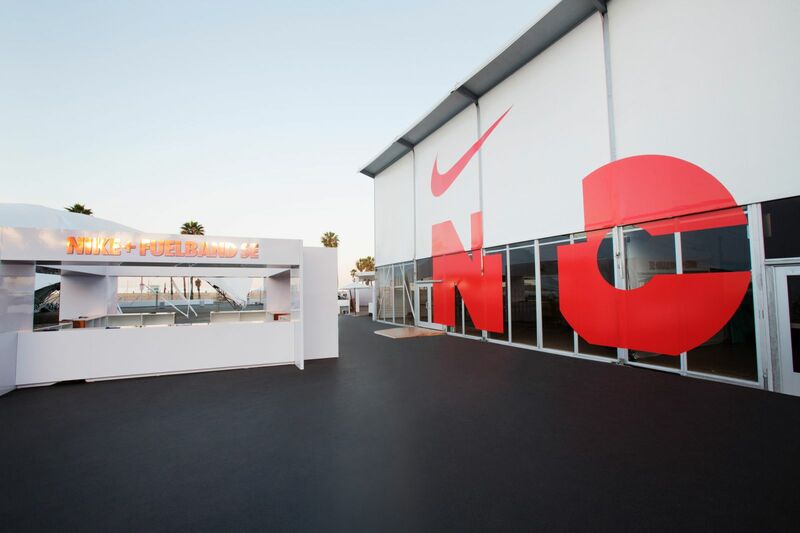 The entry experience, which encompassed the visitor's initial walk from the parking lot to a check-in point and then through to the main event space, required a design solution that both streamlined the arrival and check-in processes and also created an impactful moment of entry into the event. 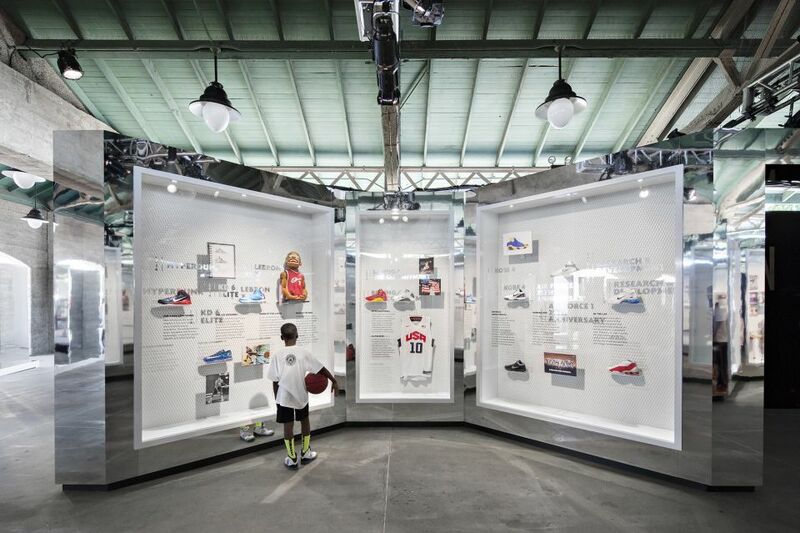 Our solution was to create a thickened wall that oriented visitors and could be programmed in a variety of ways to address different programatic requirements in specific areas. 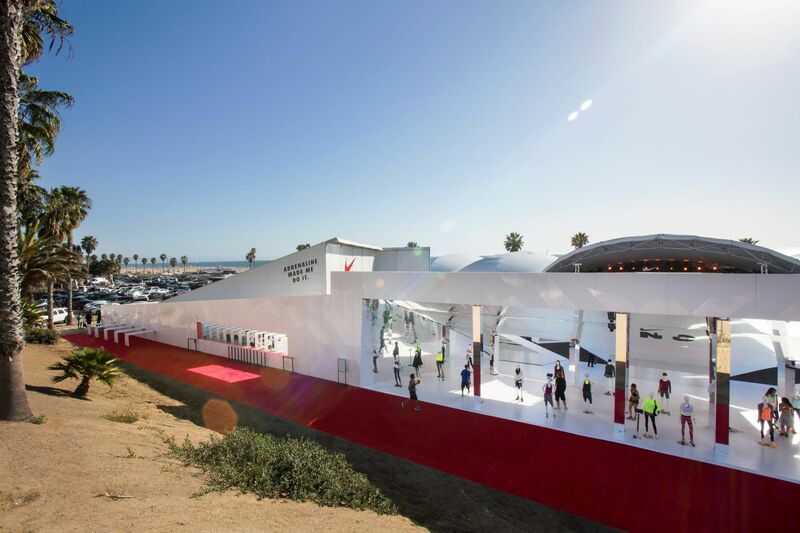 Arrival programing such as registration, check-in, and bag check were embedded within the thickened wall along the pathway as visitors entered. 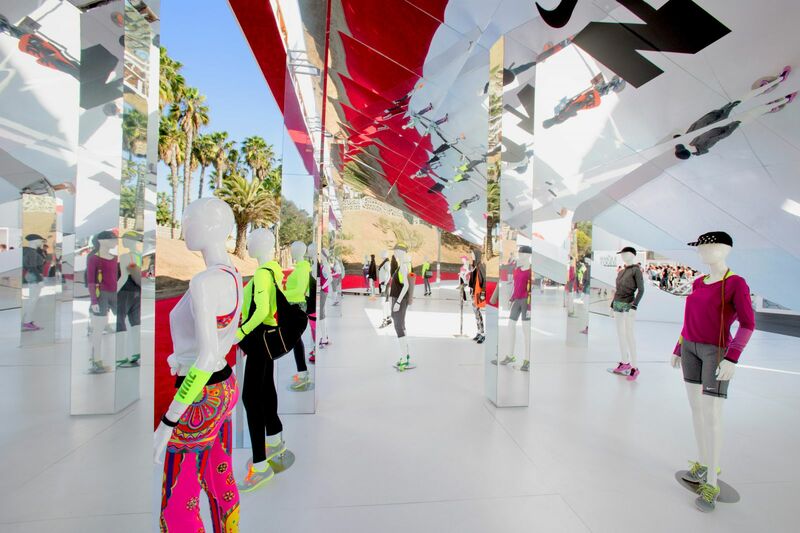 The primary design feature included a mirrored entry funnel and product display that channeled visitors into the main courtyard. 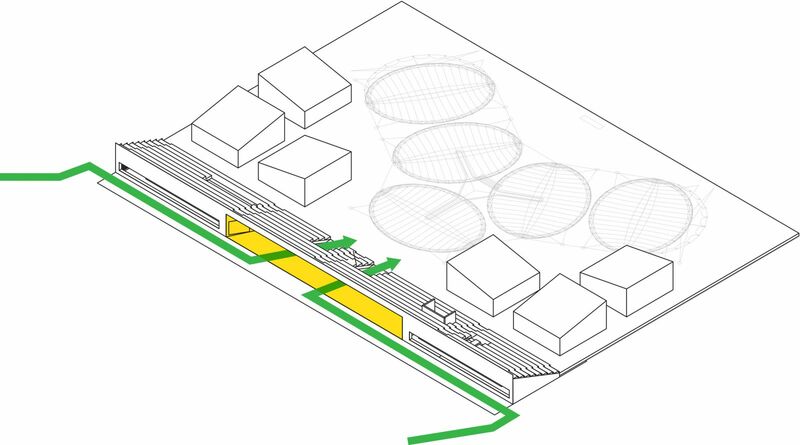 The geometry of the tapered threshold was carefully considered to create a feeling of compression on one side and then openness with expansive ocean views on the other.